8 Extras! Simplicity Brother SB7500. 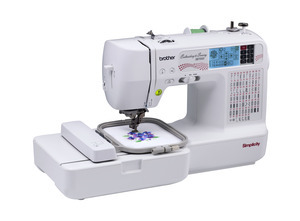 Combination sewing and embroidery machine. This powerful machine was designed with affordability in mind and loaded with high-end features.